Last modified on Wednesday, October 10 2007. 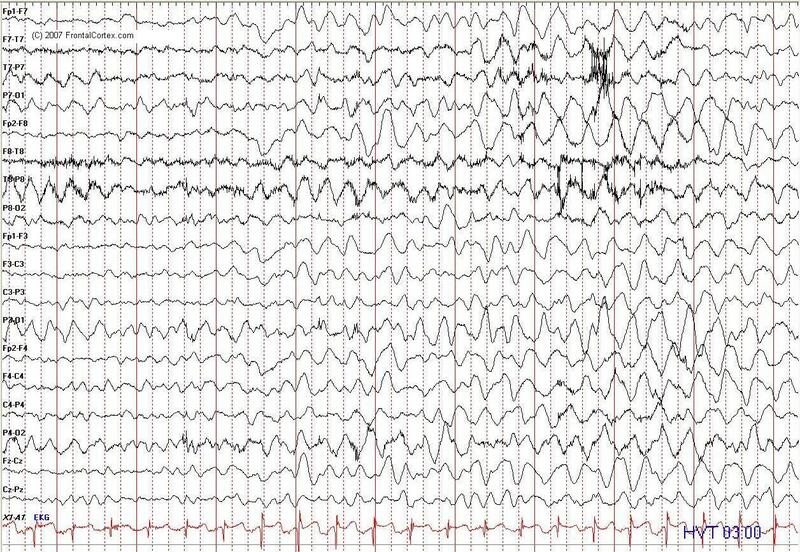 This is an eeg from a 7 year-old boy who has a history of staring spells. The patient is hyperventilating during this portion of the recording. Based on this one page, which of the following statements about this EEG is most accurate? This question was created on October 10, 2007 by jdmiles. This question was last modified on October 10, 2007.